Microsoft will sell its IPTV platform, Mediaroom, to Ericsson, and focus all of its consumer TV strategy on its Xbox division, the company said this morning in a statement. "With the sale of Mediaroom, Microsoft is dedicating all TV resources to Xbox," the company said. Originally announced as far back as 2007, Mediaroom brought cable television and TV programming from broadcasters themselves, via Internet connection, to subscribers through a variety of devices, one of them the Xbox 360. The service debuted with AT&T uVerse back in 2010, then added another 40 TV and entertainment providers a year later. 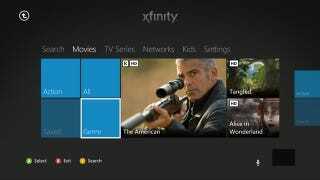 Mediaroom grew to power 22 million set-top boxes in 11 million households, Microsoft said.